Manitoba Health, Seniors and Active Living once again reminds people of the extended heat advisory for the province of Manitoba. The prolonged period of above normal temperatures continues with Environment and Climate Change Canada forecasting high temperatures throughout much of Manitoba this weekend, with even hotter temperatures expected Saturday and Sunday. Daytime temperatures may reach highs above 30 C and overnight temperatures will remain very warm, with lows near 16 C.
air-conditioned, take care to ensure it does not get too warm when doors and windows are closed to keep out smoke. 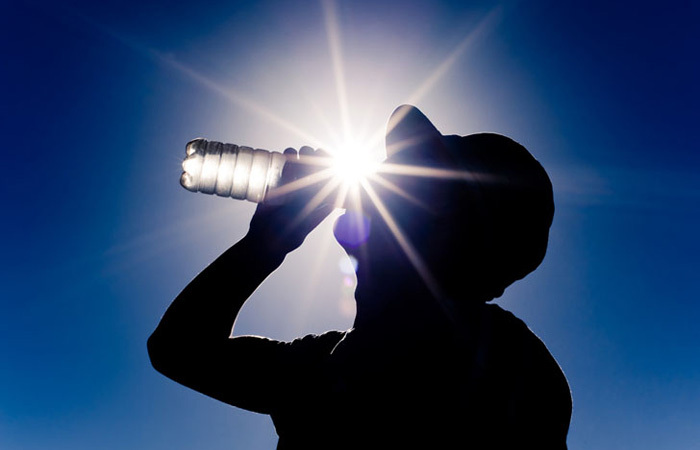 Manitobans are reminded to take precautions to prevent heat-related illness. Everyone is at risk for the effects of heat. However, during a period of prolonged heat, older adults, people with chronic illness, people on certain medications and people living alone have a particularly high risk for heat illness, especially if they are living in an urban area or do not have air conditioning. Others at greater health risks to heat include infants and young children and people who work or exercise in the heat. Emergency medical care may be needed depending on the severity of symptoms. If someone has a high body temperature, is unconscious or is confused, call for help by dialing 911. While waiting, cool the person right away by moving them to a cool place, applying cold water to large areas of the skin or clothing, and fanning the person as much as possible. For more information on heat and health, call Health Links-Info Santé at 204-788-8200 or 1 888 315 9257 (toll-free).